Get your day started with this rounded morning mix! 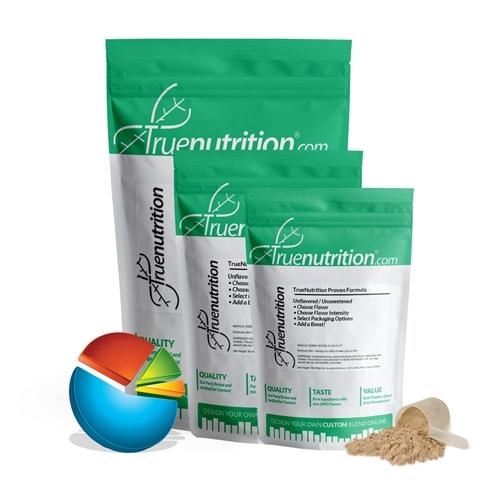 True Nutrition's Morning-Mix Formula has been specially designed as a morning meal replacement formula for people on the go! Combining fast, medium, and slow-digesting protein powders, this one simple shake offers time-sustained recovery and satiety to get you up and out the door. Providing 26g of protein per serving! Uses: Meal Replacement: Provides 26g of protein to help support morning meal replacement! Mix-ability: Shake or stir thoroughly. Taste: Mild salty and sulfury taste that goes best with chocolate, vanilla, mocha, and caramel flavors. Egg White Protein, Milk Protein Isolate, Whey Protein Concentrate (Milk), Micellar Casein (Milk), Lecithin (Sunflower), Lecithin (Soy). CONTAINS: EGG, MILK, SOY. Although this product may not contain one or all of the following, this product is manufactured in a facility that handles milk, soy, egg, peanut, nut, tree, fish, crustaceans/shellfish, and wheat products. Ordered this in strawberry n creme, its delicious and very filling.